Scottsdale, AZ – (February 18, 2011) – Bergstrom Automotive has reached a digital marketing milestone by surpassing 3,000 Facebook “likers” in record time. Bergstrom Automotive partnered with Digital Air Strike in September 2010, taking advantage of the full suite of social media platform management, search engine optimization, content marketing and reputation management services. By working with Digital Air Strike, Bergstrom Automotive has increased their Facebook likers to 3,125 which has helped them build a more loyal opt-in online audience and increased their website traffic. Reaching this level of likers is an accomplishment considering that as of today the combined average number of likers between all of the Ward’s Top 100 e-Dealers is 197 likers per store* and 20% of the dealers on the list did not even have a business profile set up properly on Facebook. This level puts Bergstrom Automotive in the top three of all e-Dealers on the list in terms of total liker count on Facebook. Digital Air Strike became an integral part of the Internet marketing team for Bergstrom Automotive by first performing a full audit of Bergstrom’s online presence and taking action to secure and enhance fifty top ranked social media sites in the dealership’s name. A digital team works with Bergstrom on a daily basis to increase customer engagement with community oriented marketing posts, trivia questions, community information and helpful dealership information. Digital Air Strike also manages Bergstrom’s online reputation. “We are excited to see such amazing growth on the Bergstrom Automotive Facebook page after only a few months. They’re a great example of how dealers can use social media to expand their online presence and connect with their community to ultimately capture more sales,” said Alexi Venneri, Co-Founder and COO of Digital Air Strike. The digital specialists working with Bergstrom Automotive add new content daily, respond to comments/questions and actively recruit new prospects. These efforts, combined with an in-depth online reputation management program, have helped the dealership group drive more website traffic from social media sites and build more loyal customer relationships. Digital Air Strike is one of the fastest growing social media marketing and reputation management companies. The company pairs innovative technology with a team of digital specialists to provide a complete solution for automotive related businesses nationwide. With expertise spanning 20 manufacturer brands and direct dealership experience, Digital Air Strike is able to take action to improve online reputations and organic search engine rankings, delivering quantifiable results for dealers, dealership groups and OEMs. Digital Air Strike works with clients to give their business an advantage by leveraging new social media marketing tactics and using technology to promote positive reviews while reducing the impact of negative online content. For more information, visit www.digitalairstrike.com. Bergstrom Automotive is the largest automotive retailer in Wisconsin and one of the largest in the United States. Bergstrom recognizes the source of our success is the great communities that have supported us and have allowed our dealerships to grow. For more information, visit www.bergstromauto.com. 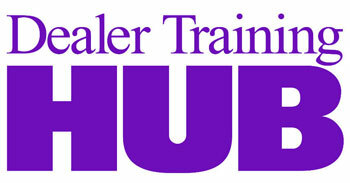 *Survey conducted by reviewing the Facebook pages for every dealership listed in the published 2010 Ward’s Top 100 eDealer list as of 02.17.11.